The whole day focus group working day. The fictional group agreed upon working on the Wool Punk scenario: an underground movement set in an alternative history, where wool technologies has been developed 150 years ago in Scotland and have been thriving ever since. We then defined the key topics within this movement and split into smaller groups to work on various projects illustrating aspects of our underground techno-culture. 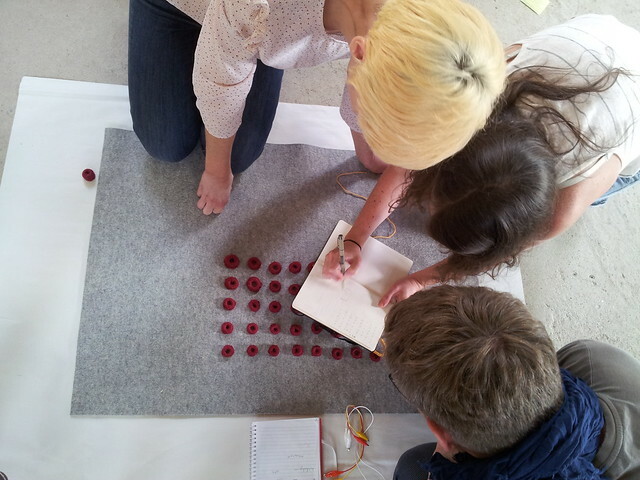 Aniela, Ana and Barbro were making prototypes for growing conductive wool on human skin. Martin and Audrey explored the possibilities to create tartins with a knitting machine, incorporating a system for message encoding. Barbro was also making an wrist armour and Anna started working on a pin code tartin. Ingo, Liza, Afroditi and Anna started researching secret message scenarios and stumbled upon the Magnetic Core Memory – an early form of computer memory, which required the cables to be woven in a specific manner to encode every single bit. 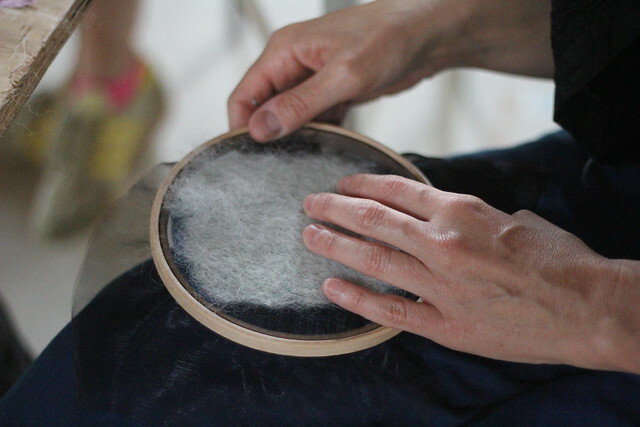 The rest of the day was spent with trials to recreate this technique using wool and conductive thread instead of hard materials. Will we ever know what the other focus groups were cooking?